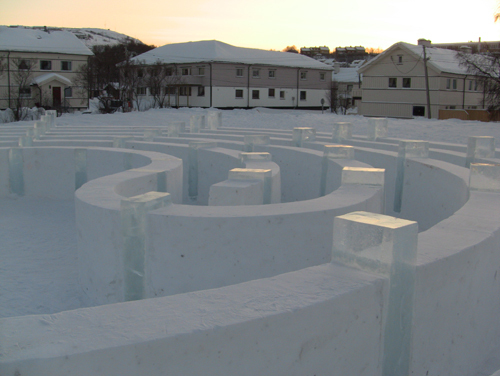 -Collaboration project: Nord Rute, an ambisonic soundscape/music performance, by Ross Adams, Plaid, and Synnøve Persen, within an ice, snow and light labyrinth set/installation by Eric Mutel. 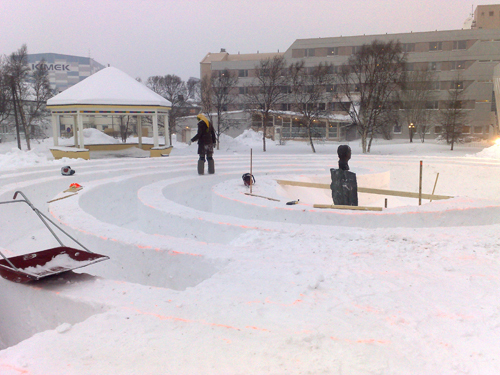 Performance at 5pm, Saturday 6th February 2010, Pavillon Park by Rica Arctic Hotel. Record and sound design: Ross Adams. 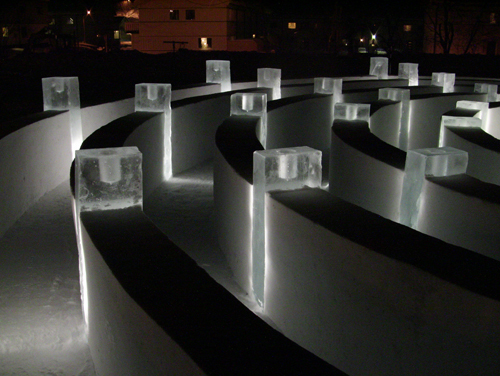 Scenography/ light design: Eric Mutel. Contributors: Klemet Amund Eira, Ánde Somby, Harald Gaski, joiking: Aillos. 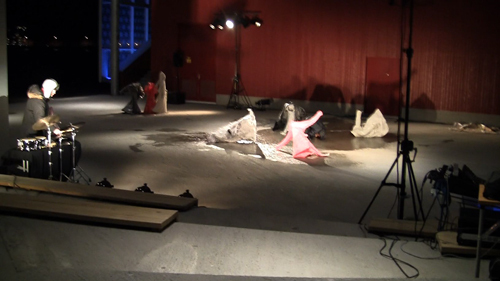 Documentation video about the all festival, with few excerpts about the Nord Rute project, on YouTube. Short news on TV2 Norway, here. 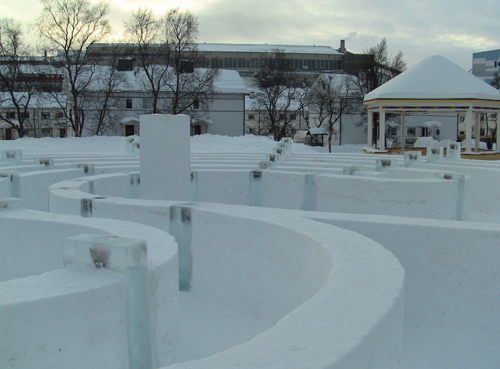 Short news on NRK1 Norway, here. check around 3min25sec. The work i was responsible for was the realisation of the Set/Stage design and Lighting Design for the performance. 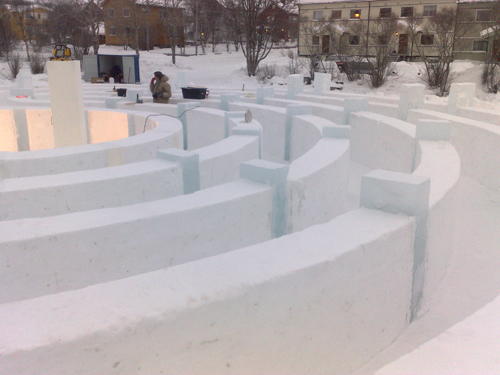 i realised the 3D design sketches, lead and work with the construction team to build the Set design with snow and ice. 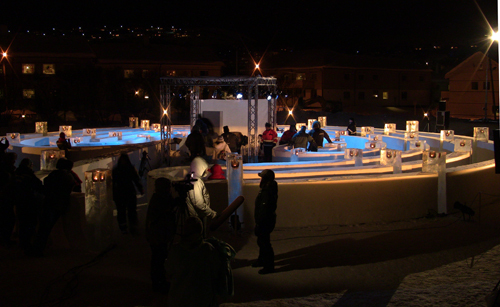 I planned the lighting designed, set it up with the lighting cie, and operated the lights during the performance. 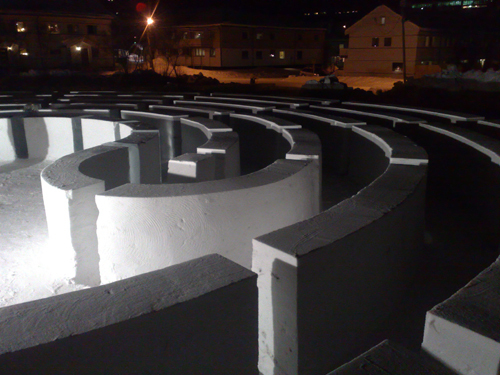 The set design is an adaptation of the Sami labyrinth/maze pattern. 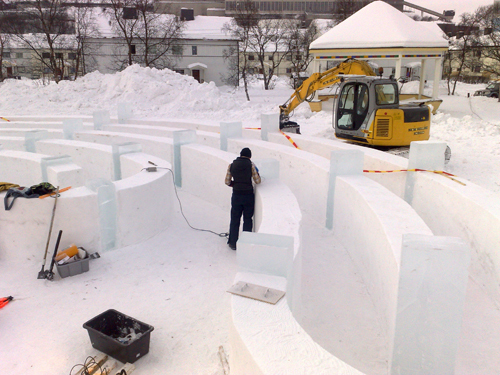 It takes 21m Ø, made with snow walls of 1m high, with ice blocks embedded of 1m to 1m50 high. 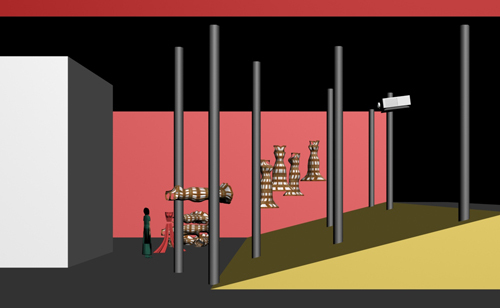 Work in progress version of "Border Line" project - Visual arts & performance collaboration project. 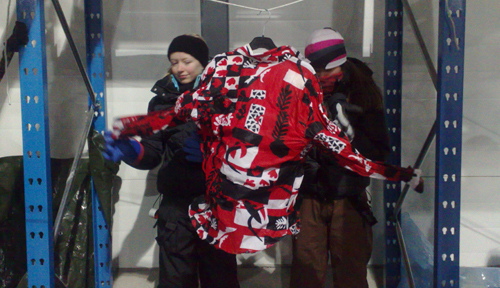 Collaboration Project with visual arts / installation, of frozen clothes, for dance/performance. 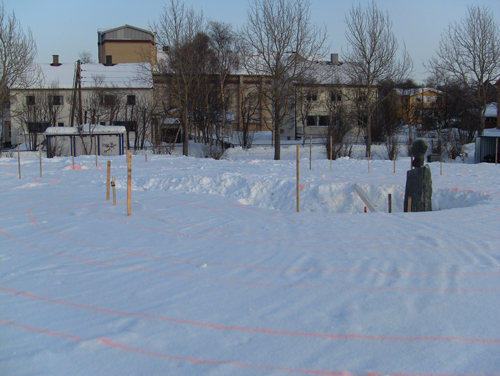 The project is a work in progress, small version of project "Border Line". 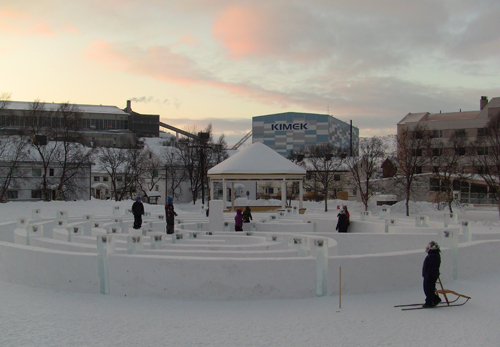 DanseFestival Barents . 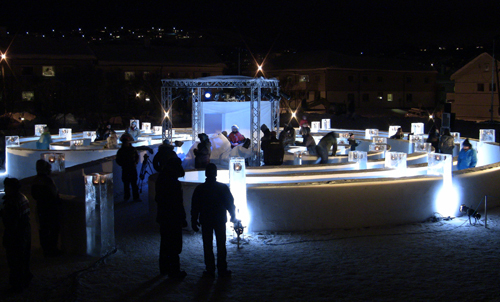 18-22 November 2009, Hammerfest, Norway. 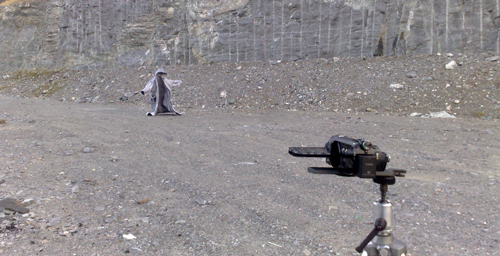 -Work on Stop Motion Video Animation with frozen clothes and Video with frozen clothes and dance. -Dancer/Performer, Choregrapher and Butoh Dancer Camille Mutel. -Percusionist and Musician Sverre Gjørvad, (Mufi, Music in Finnmark). Wednesday 18th November, Pre-opening performance of Festival. 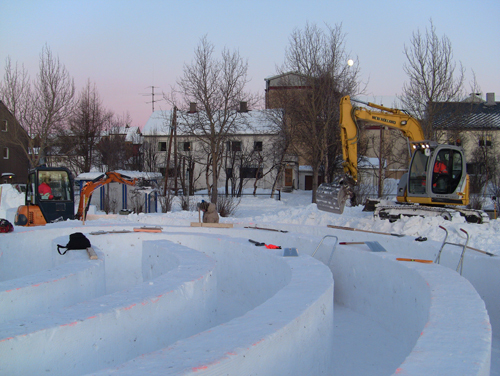 On Frysa, Outdoor stage of Arktisk Kultursenter. 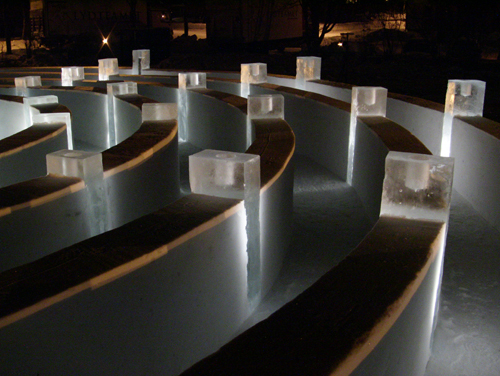 -Visual arts, Frozen clothes and light by Eric Mutel. 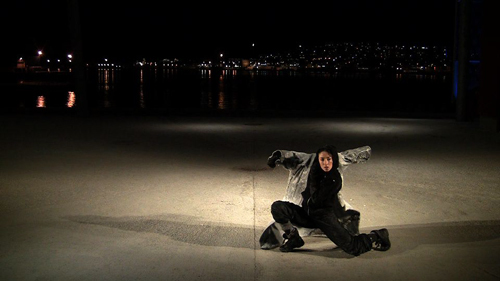 -Dance/performance with frozen clothes by Camille Mutel. 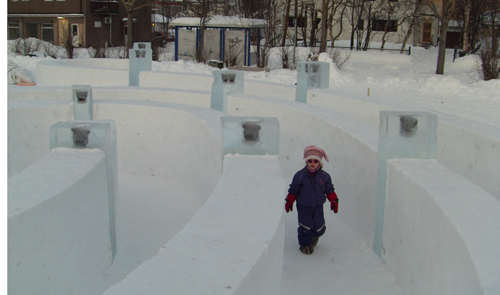 On Frysa, Outdoor stage of Arkstisk Kultursenter. 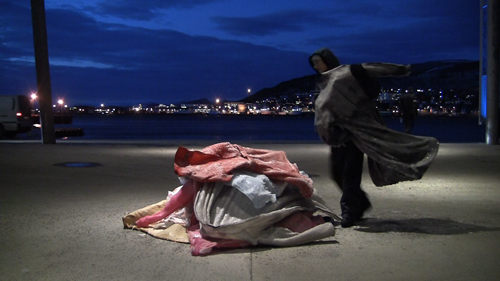 -Visual arts, Frozen clothes - light - video - performance by Eric Mutel. -Sound / Music by Sverre Gjørvad. 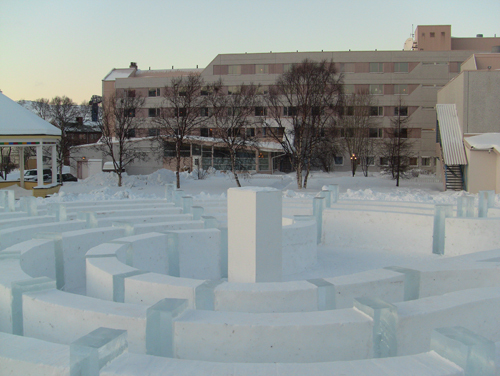 Rehearsals in -22 degrees Celsius. 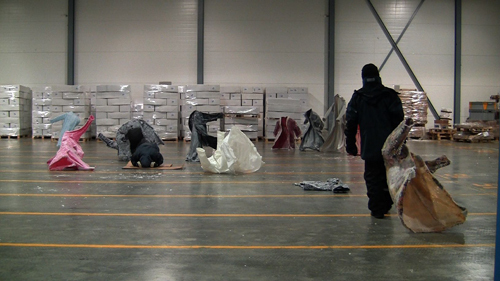 Images from rehearsals inside the freezing warehouse, by minus 22°Celsius. 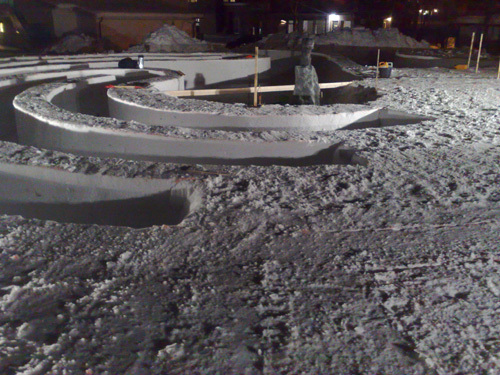 and Workshop by -22° Celsius Atmosphere ! According to the dancer, it is surprisingly very good for dancing. and Stop motion video animation with frozen clothes and dance. 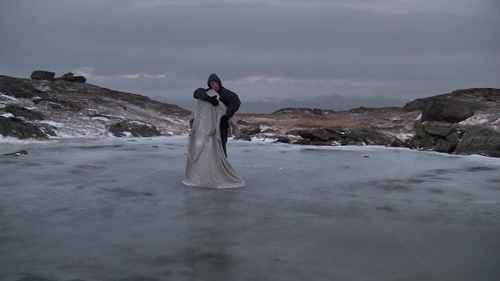 and video with dance/performance and frozen clothes with Camille Mutel. -KulturKontakt Nord (Nordic-Baltic mobility programm, culture). 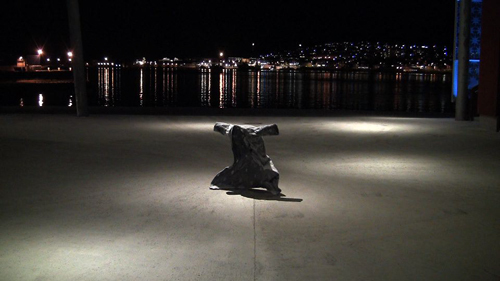 -The Arts council of Norway, for the workshop sessions.